Wanderlust. The drive that propels us into the unknown. That intense desire to travel, go on adventures, and see parts of the world we have never seen before. Where does it come from? Why do we feel this way? There are lots of ideas surrounding the origins and purposes of wanderlust. This psychology blog talks about a “wanderlust gene," and one German study concluded that extended time abroad changes our personalities in favorable ways. There isn’t a consensus or concrete scientific explanation for wanderlust, but one thing is clear among people who love to travel; it’s rewarding. The personal benefits of travel go on and on. There is the increased empathy that (ideally) comes with experiencing cultures that are different from our own, the expanded knowledge about various ways of doing things, and the deeper understanding of ourselves. When we put ourselves in situations or environments that are not familiar to us, we are exposed to, and made aware of, different parts of our identities. This uncovering of new parts of ourselves can be therapeutic, a form of self care. With this in mind, we can look at the feeling of wanderlust as a message sent to us by our subconscious to let us know we are in need of this exploration. The adventures our wanderlust urges us to take can be geographic, but they can also be internal explorations. For many of us, there is a limit to how much traveling we can do. Flights are expensive, most of us have limited vacation time, and there are often responsibilities to take care of at home. Ideally we would be able to work around these factors and travel when we feel the urge. However, because this is not always possible, it is important to explore alternatives to big trips. If we get creative, we discover that traveling inward can often bring about insight, adventure, and awareness as well. Here are some options for honoring our wanderlust and nurturing the part of ourselves that feels drawn to adventure and exploration. Travel doesn't necessarily require that you journey a long distance. Taking shorter day trips or long weekends to nearby, but unfamiliar places can meet the same need to discover, uncover, and engage with parts of the world and parts of ourselves that are unknown. How magical is it that we can enter distant universes, travel through time and space, and become intimately involved with other people simply by picking up a book?! Reading, and our reactions to what we have read, can teach us many things about our world and about ourselves. Study the subject of you as if you are a stranger to yourself. Look at yourself, your life, and your experiences with fresh eyes. To do this, you might construct a family tree, sketch out a road map or treasure map of your life, or document your daily routines as if you were an outside observer. What do you notice? Write stories and poems to express yourself in abstract ways. Do art projects that involve symbols of your hopes and goals. Draw an illustration of the world as you experience it. Let your imagination open up different ways of seeing yourself and expressing who you are. Keep a dream journal so that you are better able to remember your dreams. Paying attention to the stories we tell ourselves while we sleep can sometimes illuminate ideas we hadn't yet consciously developed. 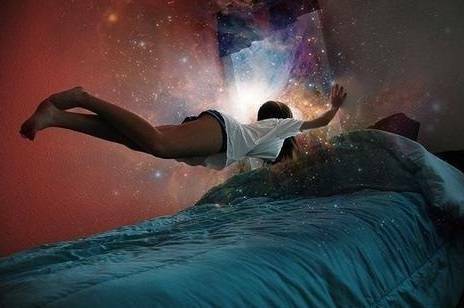 Even better, learn how to lucid dream to increase the amount of control you have in your dreams. Every night, you can travel somewhere new. Is travel important to you? How do you deal with wanderlust when a big trip isn't possible? Let's start a conversation in the comments!